A week or so ago I published a blog post explaining why we dig in the ancient soil of Israel, from the material objects we seek to the immaterial motivations for excavating the remains of civilizations past. In doing so, I jotted down my own ideas, shaped as they necessarily are by my own participation in academia. Ultimately, I explained that we dig to allow these ancient peoples–Hazorites, in my specific case–a voice through which to tell their individual and collective stories, and so that through this discovery we can learn more about their civilization and ours. On Wednesday, before leaving Anderson, I spent a few hours at the university library collecting journal articles, book chapters, essays and other materials published about Hazor by various scholars and archaeologists who have worked at the site for the Hebrew University of Jerusalem since 1955. These articles, written both for scholarly audiences in more obscure publications like the Israel Exploration Journal and for relatively popular audiences in Biblical Archaeology Review, have been listed among the basic bibliography provided to me in advance by the dig directors, given that I have opted to take the excavation as a formal course through the Hebrew University. This different possible interpretation of one crucial event in the history of Israel has led me to delve deeper in the search after “the common people.” The ordinary people, those shaping the existence and form of society by simply “being there,” form the “silent majority” of all ancient (and modern) civilizations. Their daily activities and mundane chores, conducted in the context of domestic quarters and simple dwellings, are often hidden from current research in Ancient Near Eastern and Israeli archaeology [and] as a result, the Canaanite and Israelite commoners–men, women and children–usually remain voiceless and their stories untold. Through the combination of both archaeology and related sciences (such as archaeobotany, archaeozoology and geoarchaeology), I hope to suggest a comprehensive reconstruction of the functions of the simple households of the humble Hazorites and their daily activities. Such a reconstruction might shed a different light on every aspect of the life of these people: What did they eat, and where did they cook and consume their food? What kinds of artifacts did they produce and use? What was the nature of their domestic ritual activities? Where and how were they buried? In short, how did the ordinary Hazorites live and die, and how were they affected by the large political processes of the rise and decline of the kingdom? I hope those common households will be “given a face” and can contribute to our understanding of the history of the city. I believe that investigating “from the bottom up” might afford us new insights to the processes of the rise and the fall of Canaanite Hazor, the mighty kingdom whose impression on the history of ancient Israel lasted for millennia. Sharon Zuckerman, “Giving Voice to the Silent Majority of Ancient Generations,” Biblical Archaeology Review 34.1 (Jan/Feb 2008), 26; 82. I’m taking it as a positive sign that I will be digging for the same explicit purpose as one, if not both of, my directors. Surely, it can’t be a negative sign. I’m getting ready to board the (delayed) plane for Poland now, so this’ll be my last blog post from the states for a while! Since some have asked, I thought I would compile a post about my contact information while in Israel. You have several options, and I’d love to hear from you! Easiest and most efficient will be email, of course: heatonrd (at) gmail (dot) com. (Note: change the (at) to @ and the (dot) to a period, as you would for a normal email address. I’ve typed it this way to, if possible, avoid generating random spam to my inbox.) For those desiring different options, read on. Except for emergencies, my phone’s regular capabilities (calling and traditional texting) will be switched off. But If you have an Apple device (iPhone, iPad, etc. ), you can reach me through iMessage, which is like texting except it’s free. Send a message to rdheaton (at) anderson (dot) edu. If you’re brave enough, you can also try to FaceTime me with this same address. I may get a calling card or Israeli cell phone, but I expect that the cost might be too silly. I can chat with voice over Skype, though. If you’d like to Skype with me at some point, drop me an email and we can try to figure something out. Of course, if you’re Facebook or Twitter savvy, I’ll be checking those regularly as well. I keep my Facebook pretty restricted to people I know, but anyone is welcome to tweet me @heatonrob. Like to write letters with pen and paper? You’re in luck as well. Snail mail to Israel takes 7-12 days, but if you plan ahead, you’ll be able to catch me at the two locations where I will have scheduled extended stays. Make sure to buy the appropriate amount of postage! Time Zones: Israel is 2 hours ahead of Greenwich time, which means it’ll be 7 hours ahead of the current Eastern time and 8 ahead of Central time. If you’re in another time zone, or just want to know exactly what time it is where I am, check out the Time Zone Converter. Dig Schedule: In another post I alluded to the dig hours and schedule, but a complete and detailed schedule is available (along with a bunch of other great information) from the Hebrew University’s Hazor Excavations Project website (click on “2012 Season Information” and scroll down). My Itinerary: I’ve had a slight change of plans from those I posted a month ago. When I scheduled my flights back in early May, I wasn’t smart enough to realize I’d be landing in Tel Aviv on the Sabbath, which means that I generally wouldn’t be allowed to check into a hotel until sundown. (Oops.) So instead of spending Saturday night in Tel Aviv, where I’ve found only Jewish-owned hotels, I’ll spend my first night in Haifa, where I found a Christian-owned establishment. Nothing against Jewish-owned hotels, of course–I’ll stay at them later in my trip–but after 38 hours in planes, trains, and automobiles, I think I’m going to need some quicker sleep! As an added bonus, I’ll get to do some touristy Old Testament-related things around Haifa (Mt. Carmel is located nearby) that day. I’ll type at you next from Poland or perhaps Israel; thanks for reading! My departure for Israel is fast approaching (i.e., in the next few hours! ), and given the groundswell of interest in my trip, I decided to create a three-part series to provide more information about what exactly I’ll be doing there. Part one covered basic facts about the history of Hazor, while part two covered the intentions and goals of modern archaeology (especially for biblical sites). Part three features some ideas and details about my journey around Israel once my three-week excavation is complete. (See also, my basic itinerary.) So, let’s dig in, shall we? Except for two free weekends during which I may or may not schedule trips with my dig comrades, the next three weeks are pretty well accounted for. Wake up at 4:15 am, begin digging at 5:00 am, finish at 1:00 pm, in bed by 10:00 or 11:00. But soon enough, July 14 will roll around, and I’ll be on my own! Though I’m scheduled to stay in Jerusalem along the Via Dolorosa (i.e., the Way of the Cross, at least by the record of tradition), this will primarily be my nightly anchor spot for various trips around Israel. To make this subject matter as easy to follow as possible, I have grouped the “attractions” I may or may not see/visit directionally from my post in Jerusalem. And I put “attractions” in quotation marks, because the word doesn’t seem quite right for the Holy Land. But, it’s the best I have for now, so we’ll work with it. Jerusalem Itself: I reckon that you could spend an entire 12 days in Jerusalem and not exhaust your options, but I will self-limit to about 4 or 5 in order to see the other “centers” of Israel as well. Must-visit highlights include Yad Vashem (the Holocaust Memorial and Museum), the Israel Museum (where the Dead Sea Scrolls are housed–I may try to find the curator of this museum and introduce myself, because he is coming to Anderson University in the fall), the Western Wall (thanks for the yarmulke, Jasmine), King Hezekiah’s Water tunnel system, and of course, the numerous holy sites associated with Jesus’ last week. These include the Mount of Olives, Gethsemane, the Via Dolorosa, the Upper Room, the Church of the Holy Sepulcher, and many more. Galilee (North): My dig is taking place in Upper Galilee, so I’ll get many chances to tour around the region of Jesus’ origin. I am excited to kayak or canoe on the Sea of Galilee, as well as touring towns along its banks: Tiberius, Chinnereth, and Capernaum (including the traditional home of Simon Peter), and more. Certainly, I will also visit Sepphoris, Nazareth (including the Church of the Annunciation) and Mt. Tabor, where Jesus was said to have been transfigured before Peter, James and John. Beersheba, Masada and the Negev (South): Two main cities south of Jerusalem that I plan to visit include Beersheba, which is strongly associated with, and may contain a well used by, Abraham, and Masada, where the last stages of the Jewish-Roman War took place around 70 CE. Since the Negev is basically desert, I think I’ll put this last on my list of priorities. 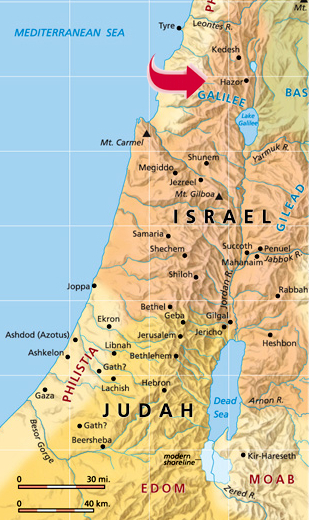 The Mediterranean Coast (West): There are a number of great locations to visit along the coast of what the Israelites knew as the “Great Sea”: the remains of the ancient Philistine cities Ashkelon and Ashdod, Tel Aviv, Caesarea, where an inscription of Pontius Pilate’s name was found, and Haifa. In Haifa, I may visit the cave where Elijah was said to have hidden, the Baha’i Shrine, and a naval museum dedicated to Jews who sought refuge from Europe during World War II. The entire coast is also full of amazing beaches, judging from the photos I’ve seen. The River Jordan and Dead Sea (East): I will have to be most careful about travel to this region of Israel, as it includes the West Bank. I would like to visit Jericho and some towns along the west bank of the Dead Sea, but I will have to ask around to see if it’s safe for Westerners. Either way, I will be able to float in the Dead Sea at the very least while I tour Masada. In addition, my mother-in-law found a very interesting restaurant while looking in my Fodor’s travel book: in a town called Abu Ghosh, there is an American-style diner called the Elvis Inn. I may visit in tribute to my aunt, who is an Elvis fanatic. I haven’t planned out an exact recreation/exploration schedule for myself to allow for flexibility where necessary, either as it is financially prudent or as my interest drives me (or the need to do laundry prevents me). In some cases, I may make reservations for scheduled tours from one of the tour companies in Israel, while in others I will travel mostly solo. So the exact details may be few and far between in this post, but for the time being, these are the ideas I’ve got bouncing around in my head. Rest assured, there will be more to come, and I’ll do my best to capture it with words and pictures right here on the blog. Got any great ideas I didn’t mention? Want to encourage me to go somewhere I have mentioned, or just want a postcard from my travels? I’d love to hear what you have to say in the comments below. My departure for Israel is fast approaching, and given the groundswell of interest in my trip, I decided to create a three-part series to provide more information about what exactly I’ll be doing there. Part one covered basic facts about the history of Hazor, while part two covers the intentions and goals of modern archaeology (especially for biblical sites). Part three, tentatively, will feature some ideas and details about my journey around Israel once my three-week excavation is complete. (See also, my basic itinerary.) So, let’s dig in, shall we? Leave it to my grandma to ask the most basic, fundamental question imaginable after I announced that I would be traveling thousands of miles to participate in the excavation at Hazor: What on earth are you digging for? Sometimes I tend to forget that not everyone is a student in biblical studies. The question seemed so preposterous to me, but the more I thought about it, the more sense it made, both in terms of material items we hope to find and the intentionality behind excavations. In his 2002 autobiography Doors to Life, Dr. Gustav Jeeninga (the late professor for whom my fellowship is named) defines archaeological data as “human thought objectified and then fossilized.” If you ask me, this is a fantastic definition. Archaeology, then, becomes an endeavor not to uncover ancient writing samples, intact pottery or elaborate municipal structures, though the discovery of such items is certainly rewarding and of principal importance to academia. Rather, we seek these material objects only as clues to the ideas of cultures long left dormant and livelihoods of people long silenced. And specifically in regard to the Ancient Near East, our secondary interests include affirming the biblical record (or, at times, weighing the evidence against the biblical record) and attempting to fill its gaps. Such is the case for Hazor, a biblical town for which the gaps are numerous. With Dr. Jeeninga’s definition in mind, we must note that we can only access this “fossilized human thought” through physical objects. The simple answer to my grandma’s question, in a material sense, is that we’re searching for whatever we might find. But certain items will be more valuable than others. Any objects containing writing will provide the most direct access to the ideas, needs, intentions, and daily life of the ancient people of Hazor, but it will be extremely unlikely to find writing on any intact items. More than likely, we could find writing on broken pieces of pottery or the ruins of old structures. Potsherds: think of them like the garbage of the ancients. At this point, it is necessary to explain a little bit about how cities were built, conquered and rebuilt over in the Ancient Near East. When people first settled a location, much like the North American settlers of the 17th century, location was everything. For the purpose of protecting a settlement from military bombardment, the highest points were often chosen for fortification. In some cases, these high points may not be any more than a hill or a mound (which we call tels), as opposed to a mountain or plateau, but any advantage the people could grab would be vital for security from adversaries. When a town would be overrun and rebuilt with frequency, new settlers–who were accustomed to first destroying or plundering everything of value from a previous settlement–would simply build on top of that previous settlement, either with completely new structures, or by incorporating the previous structures into their (perhaps only slightly) different vision for what civilization should look like. As a result, there are two significant observations about doing archaeology at biblical sites that I should stress. First, with the exception of physical structures, which, if not destroyed by military edict, are easily preserved over time because of their intentional construction, we are digging through ancient peoples’ trash. Hazor is not Pompeii; the entire town was not flash-fossilized for posterity. It was conquered and plundered violently, and its new occupants would not have consciously built over items they regarded as valuables. A second observation is that when you dig deeper and deeper at a location, you access more and more ancient strata of livelihood. Because the Hebrew University has sponsored excavations at Hazor for more than 20 seasons (usually six-week periods in the summertime), my dig will be exploring the 13th and 14th centuries BCE, which theoretically should not include any distinctly Israelite settlement. This is appropriately called the Canaanite Period, as it is associated with the time in which scholars believe Joshua wrote that Hazor stood as “the head of all those kingdoms” (Joshua 11:10 NRSV). 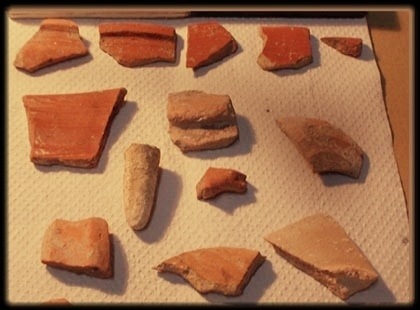 What is typically found when rummaging through ancient trash is pottery, pottery, and more pottery. Shattered pottery, mostly. If we’re lucky, we’ll find large pieces of pottery that can be later reconstructed and studied to understand its precise utility to the civilization. Pottery was also the paper of the day, so we will be highly interested in any engraving that we may find on the sherds of pottery. We could find anything from ancient business contracts to royal decrees to scribal alphabet writing practice! Other items we may find include both municipal and private structures, human and animal remains, oil lamps, weapons, coinage, and deities (idols). In addition to preserved writing, these items would constitute the real gold of the excavation and, if found, will necessitate several pages of ink in the end-of-season report. So as I’ve come to understand, though we dig for physical objects, we are simultaneously (and primarily) digging to learn more about ancient people who can no longer speak for themselves. We wish to understand their way of life, their beliefs, what they beheld as important, how they met their end, and, ultimately, what we can learn about our humanity from their activity and their temporality. In short, we dig to grant ancient peoples a voice. My departure for Israel is fast approaching, and given the groundswell of interest in my trip, I decided to create a three-part series to provide more information about what exactly I’ll be doing there. Part one covers basic facts about Hazor, while part two will cover the intentions and goals of modern archaeology (especially for biblical sites). Part three, tentatively, will feature some ideas and details about my journey around Israel once my three-week excavation is complete. (See also, my basic itinerary.) So, let’s dig in, shall we? Welcome to Hazor, the archaeological site where I’ll be digging. Photo courtesy of the Hebrew University. Pronunciation of “Hazor”: HOTS-or (not HAY-zore or HA-zore!). Though Hazor is spelled in English with a z, this letter in Hebrew is a “sade,” which is vocalized like a “ts” digraph. Location of Hazor: Hazor is situated roughly 10 miles north of the Sea of Galilee along what was a significant ancient pass into and out of the northern kingdom of Israel. Its relative distance from the heart of Israel, let alone the land of Judah or Jerusalem, made it somewhat of a forgettable city—at least as far as the biblical record is concerned. Whenever Israel happened to face a powerful enemy from the north, Hazor stood immediately along the firing line. Along with Dan, which is recognized as the northernmost distinctly Israelite settlement, Hazor is often found in lists of cities destroyed when wars would break out between nations. This map of Ancient Israel is adapted from the American Bible Society. I’ve added a red arrow pointing to Hazor! Biblically Speaking, What is Known About Hazor? : Knowing that it could also be a stalwart protecting against attacks from the north, Hazor’s location and relative vulnerability led King Solomon to strengthen and fortify part of the city in the 10th century BCE (1 Kings 9:15). Earlier, the city was said to be entirely destroyed by the conquest of Joshua (Joshua 11:10-15), and it also served as the home base for the Canaanite King Jabin (Judges 4:2). After Solomon’s time, Hazor would be among the numerous cities overrun by Tiglath-pileser of Assyria (2 Kings 15:29). Later, Jeremiah would warn about Hazor’s destruction at Babylonian hands, prophesying, “Hazor shall become a lair of jackals, an everlasting waste; no one shall live there, nor shall anyone settle in it” (Jer 49:33 NRSV). Though Jeremiah’s message rang true—Hazor is thereafter mentioned only as a battle site in the apocryphal book of 1 Maccabees—the site is today much more than an eternal wasteland. In fact, it is one of the largest and best preserved archaeological sites in Israel today. Archaeologically Speaking, What Else Is Known About Hazor? : Though our biblical knowledge of Hazor is relatively limited to its continued destruction and fortification over the centuries, archaeology helps to fill in the details and, as much as is possible after the passage of time, give its residents a voice. We know that Hazor contained both an “upper city” and “lower city,” though both parts of the city were not always inhabited at the same time. In Solomon’s time, for example, the archaeological record tells us that only one half of the upper city was actively settled. Additionally, while Hazor has the remains of a Yahwistic cultic high-place, archaeologists have also found pagan religious symbols and structures. This raises an important question, specifically, how Israelite was Hazor? Perhaps most significantly, by the time of Solomon we know that Hazor was well in decline. The city’s best years, during the second millennium BCE when it enjoyed a population of perhaps 20,000, were well behind it. Though Hazor is somewhat of an afterthought in the biblical record, its Canaanite significance is not questioned. Joshua 11:10 alludes to this, saying, “Before that time Hazor was the head of all those kingdoms” (NRSV). Portions of this section, and this post as a whole, are adapted from the Hebrew University of Jerusalem’s Hazor historical website; clickthrough to read more about how Hazor is mentioned in documents even older than the Bible! The dig in which I will soon participate is led by the Hebrew University, and you can also read recent seasons’ reports from their site. Reasons for Choosing Hazor: When researching various digs taking place this summer, I decided I wanted to participate in an established dig with a respected university at a location with which I was (at least vaguely) familiar, and could therefore be connected with my studies in Old and New Testament. Hazor fulfills all of those requirements. The intrigue provided by the Canaanite/Israelite question—by which I mean, was there indeed continuous violent destruction or perhaps cohabitation and coexistence, and when?—and the archaeological significance of Hazor sealed the deal. With all I now know, I’m thoroughly looking forward to the dig! Later this week, I will continue with a post about the reasons for archaeology, how excavations are undertaken, and much more. I hope it will provide more insight about what exactly I’ll be doing at Hazor, now that you know some basics about its history! Got any more questions or thoughts related specifically to Hazor? Feel free to leave them in the comments section, and I’ll answer them to the best of my ability! Before I begin with the topic of this post, Happy New Year! Yes I know, the calendar year is coming upon one-half gone, but it’s actually my first blog post of 2012. Oops! Now that the spring semester is long gone, perhaps I should try to rectify that by recounting my recent studies and other things I’ve been working on. 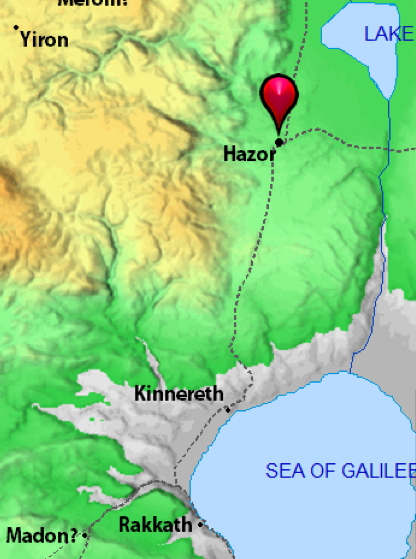 Hazor lies north of Chinnereth and the Sea of Galilee in Israel, as shown in this map from bibleatlas.org. June 20-21: One-day vacation in Chicago with Lauren. June 21: Depart from Chicago for Warsaw, Poland. June 22: Thirteen hour layover (and mini-vacation!) in Warsaw; depart for Tel Aviv in the p.m.
June 23: Arrive in Tel Aviv in the wee hours of the morning, spend night nearby. 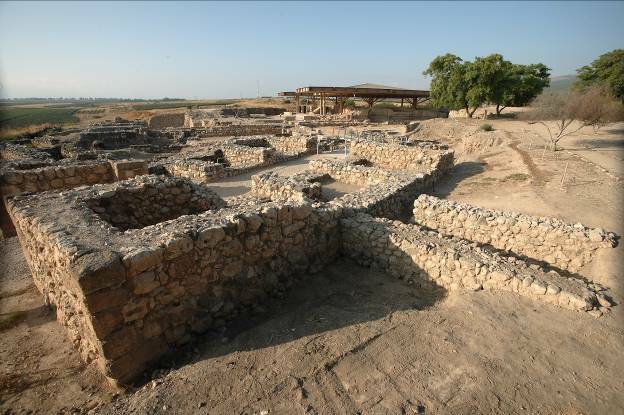 June 24: Travel north to Hazor and report to kibbutz (camp) for the dig to begin the following morning. June 25-July 13: Excavation begins at 5:00 a.m. and lasts until 1:00 p.m. every weekday. On the weekends, I’ll have the opportunity to plan some day trips with my compatriots. July 14-25: The dig will continue, but I will begin the recreation and sightseeing portion of my trip. I’ve booked accommodations deep within the Old City of Jerusalem, in a convent run by French nuns! So I’ll spend my nights in Jerusalem, but during the daytime I’ll travel around Israel, from Capernaum and other sites in the Galilee to Beersheba in the south, and hopefully everywhere in between. July 26: Early flight home retracing my earlier route, from Tel Aviv to Warsaw and back to Chicago. So, my trip will be jam-packed with adventure and new experiences (and I will certainly add more details to those rough plans in the near future, including what I’ll be digging for, who I’ll be working with, etc.!). I plan to chronicle as much of the trip as humanly possible on the blog, using written articles, photos and perhaps even videos, so if the trip sounds interesting to you, it might behoove you to subscribe to the blog for the next few months! You can do so by scrolling down along the right sidebar of this page, submitting your email address, and clicking on the “Sign me up!” button. If you do so, you will receive an email from my blog each time I publish a new post! You can unsubscribe at any time, so what do you have to lose? One more thing: you might recall that last year I attempted to raise funds from friends and family for this trip (which would have then taken place in summer 2011), before ultimately deciding that I would not have a sufficient amount. This year, since I was awarded a fellowship in archaeology from my school’s Jeeninga Museum for Bible and Near Eastern Studies, I determined that running a dedicated fundraising effort would not be necessary, since the fellowship more than covers the costs of my flight, dig program, etc. However, some family and friends have sent me contributions anyway, and I am very thankful for them! PROMPT: At the heart of the discussion of the Reformation Consciousness is the issue of self-identity. Describe and illustrate what you see as the self-identity of the Church of God today. Expressing self-identity for an individual is usually a simple affair, often merely requiring an interview or two with the party at hand. Nailing down the self-identity of an entire religious movement with many thousands of adherent-members is a substantially more difficult proposition, given that their collective understanding is constantly developing, somewhat nebulous in nature, and in all likelihood quite different from congregation to congregation. Therefore, while I will attempt in this response to describe and illustrate the current state of the Church of God’s self-identity, I am aware that the well-attested and generally preferred lack of movement-wide cohesion signifies that its self-identity has become essentially experiential. In seeking to identify a present self-understanding, I will first compare the modern Church of God’s climate to the basic theological presuppositions first offered by John W.V. Smith before analyzing emerging ideas affecting recent and present self-identity mores. After delineating these two sources, it will be possible to make personal conclusions regarding the self-identity of the modern Church of God. The self-understanding of the early Church of God movement stemmed from four basic theological presuppositions, including the foundational nature of the Bible, the essentially experiential nature of religion, a New Testament mission of the apostolic church, and participation in a divine destiny. While I believe that the Church of God adheres to each of these four ideas today, it is necessary to explain some subtleties that currently exist. First, the movement continues to share the belief that the Bible lays the foundational bedrock for ecclesial life. However, if we were to take a tour around the movement, from conservative Ohio and Michigan congregations to the Pacific Northwest and to Anderson University itself, we would hear substantially different claims regarding topics like inerrancy, inspiration, authority, and the like. Certainly, as Henry C. Wickersham expressed before the turn of the 20th century, some nuance has always existed in the movement’s interpretation of the Bible, but the Church of God’s pastors, teachers and even laypersons are more exegetically advanced today. Second, the experiential nature of the church remains in some cases, as in the sharing of testimonies at the time of baptism. But for the most part, expressing the facts of personal faith that make us unique is considered less preferable the espousing that in and of which we all find meaning and claim ownership. Third, while most within the movement would nod in agreement regarding the New Testament mission of the church (one, holy, catholic, apostolic), significantly fewer people would specifically claim attachment with the New Testament church vision, which it seems our congregations are grasping less and less in the hunt to revamp worship, church services and communal practices. Finally, our shared participation in a divine destiny has all but lost its apocalyptic nature, instead lying dormant in expectation of the second coming of Christ. We view ourselves less and less as the last bastion of religious wisdom and sectarian detachment, and are much more apt to recognize truth in denominations and the Christian walks of other brothers and sisters. Meanwhile, over a century of experience has fueled the Church of God to face new challenges and develop fresh movement-wide foci. As a movement, for example, I recognize a distinct willingness to portray the availability of Christ to all peoples, and more importantly, the available opportunity within the church for all peoples. While this may be considered a throwback to the practices to the early Church of God, embarrassing episodes of passive discrimination have driven the movement to strive for diversity in congregational life and in worship. This manifests itself within the movement as reconciliation-mindedness and a global orientation for missions, and closer to home, as an emphasis on opening the doors to women and other minority groups in ministry. Second, the early church of God’s emphasis on “saving souls” has given way, appropriately, to leading men and women to discipleship. I am hearing less chatter regarding theological concepts such as justification and sanctification and more talk about growing in relationship with Christ and relating the life of faith to practical use in society. Perhaps this is an outgrowth of the modern pastoral pattern that places less significance on traveling evangelistic companies, but regardless, the Christian life in the Church of God is less of a singular identifiable experience and more of leading a life worthy of the calling placed on our hearts. Third, the Church of God is currently toeing a tightrope between continued cultural relevancy and the history of the movement. Though some may choose to identify this as a garden-variety generational and liturgical gap in the church, I see glimpses of the emergent church peeking into some Church of God practices. At the same time, multi-generational Church of God members and other conservative congregations tend to long for a return to the movement’s past beliefs. Will the Church of God become a torchbearer for the liberal Christian church? Will it allow deep exegetical and analytical truths to impact belief and worship? Will the Church of God remain culturally relevant? 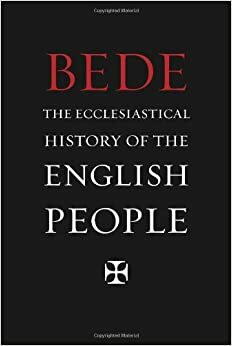 Finally, for better or for worse, our self-understanding possesses an infatuation with remaining a movement and eschewing all hints of denominationalism. As I read excerpted quotes from Leith Anderson’s 1996 report to the Church of God Leadership Council, I could not help but feel the conclusion remains just as appropriate today: “There is a very strong desire to be described and identified as a movement and not a denomination. However, the Church of God retains few characteristics of a movement and many characteristics of an aging denomination.” As important as it may be to remain true to foundational principles, the Church of God should not be so anchored within a particular belief about its structure that it openly contests and denies what has been constructed over the years while honestly seeking to follow the lead of the Holy Spirit. However, that self-understanding remains at a crossroads, and the stoplight could turn green any minute now. As the Church of God has found, and will continue to discover, the arrival at a crossroads was not unique to 1880, 1980, or 2000. Rather, it is continual; it will repeat. The movement’s modern self-identity, rooted as it may be in the basic theological presuppositions of the early Church of God, will always be driven by the challenges that appear in the developing religious and social landscape, and will constantly be open for interpretation and evaluation by the diverse member-adherents in its churches. Thus, it can be said that we face new issues in the spotlight of our past, but with an orientation toward the future. The Bible remains our foundation, and the New Testament church our guide, but going into the future, our language has changed and our discernment of the life of faith is enriched. John W. V. Smith and Merle D. Strege, The Quest for Holiness & Unity, 2nd ed. (Anderson, IN: Warner Press, 2009), 83. Barry L. Callen, ed., Following the Light (Anderson, IN: Warner Press, 2000), 34-35.